Representation of major mining company through due diligence and acquisition phases covering multiple mines resulting in a nine figure transaction. Representation of mining companies and oil and gas companies in quiet title proceedings and claim disputes. Representation of oil and gas companies in acquisitions and issues involving land on Indian reservations. Defense of oil and gas operators from TERO enforcement actions and tribal court proceedings. Defense of mineral development companies in lease disputes and tribal court actions where damages claimed were up to nine figures. Representation of mining companies in complex title curative projects. Title due diligence for various mineral production and renewable energy projects. Administrative actions involving federal lands and multiple federal agencies. Joshua Cook is a partner in Crowley’s Energy, Environment, and Natural Resources Department. His primary areas of practice are mining, Indian law, and oil and gas law. Joshua handles complex mining matters, including patented and unpatented claim disputes, large scale due diligence of both mining and oil and gas properties, property acquisitions and dispositions, title examinations, as well as permitting and environmental issues. He also assists clients with mineral development projects on Indian lands and challenges to tribal jurisdiction. Joshua has significant experience working with tribal agencies, especially TERO, handling contract disputes, and defending clients from tribal actions. He also assists pipeline, transmission line and mineral development companies with right of way issues. 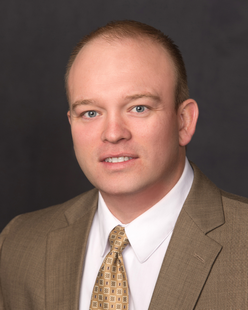 Joshua serves on the Board of Trustees for the American Exploration and Mining Association, is involved with the Nevada and Wyoming Mining Associations, and works on the Legislative Committee of the Montana Mining Association. He is on the Special Institutes Committee of the Rocky Mountain Mineral Law Foundation, a reporter for the Foundation’s Newsletter, and an update author for the American Law of Mining Treatise. Joshua graduated with his Juris Doctorate from Gonzaga University School of Law in Spokane, Washington. During law school, he clerked for the Washington State Court of Appeals, served on the Moot Court Honors Council, and lead Gonzaga’s National Trial Team. Before law school, Joshua worked in the mining industry where he located mining claims on public domain lands throughout Nevada and California. Joshua obtained his Bachelor of Science Degree in Business Management and Finance from Brigham Young University in 2007.